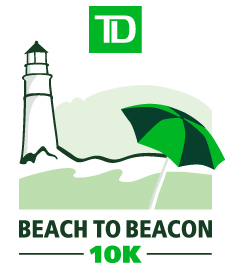 My Place Teen Center is thrilled and honored to be the 2016 TD Beach to Beacon beneficiary for the race, which will be held August 6th. As the race beneficiary, organizers have provided 50 race registrations to My Place Teen Center. That’s right – 50 friends and supporters of My Place Teen Center will be able to forego the hectic registration process, when people from all over the world vie for one of 6,550 registration spots. Our 50 race bibs are available to the first 50 people who make the commitment to Fund a Kid, or who commit to fundraising enough to Fund A Kid. This is not just an opportunity to ensure the funding to provide hot meals, academic support, life skills and mentoring for one at-risk child for one year. This is an opportunity to spread the word about our important work at My Place Teen Center. We realize that not every person can give the $960 to provide the programming for an entire year, but by reaching out to friends and family who can chip in, you will help grow our base of support throughout our community. We will make fundraising even easier by setting up a personalized fundraising web page for you with an online donation link. A non-refundable deposit of $250 is due immediately by check or online at myplaceteencenter.org/donate. 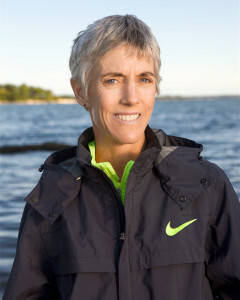 As a member of Team My Place Teen Center, you will have access to a special meet and greet with Joan at the Center, where you can ask her about her experience as a runner, race organizer, and community advocate. Email Linda Douglass today to secure your bib. 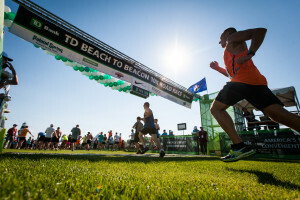 Part of the success of the TD Beach to Beacon is due to the thousands of supporters and hundreds of volunteers who show up on race day. 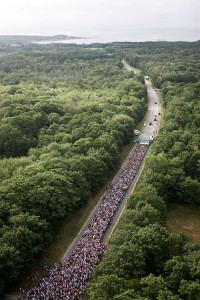 If running isn’t your thing, but you still want to participate in this iconic event, join Team MPTC as a volunteer. Volunteer information is available starting April 1st at http://www.beach2beacon.org/volunteer. 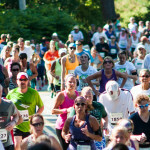 The TD Beach to Beacon race is more than an elite sporting event that draws international racers, it is a community event supported by dozens of local businesses, hundreds of volunteers and thousands of spectators. We are grateful for the generous donation of $30,000 from TD Bank, and for the opportunity to tell the stories of the wonderful kids we work with everyday.